Please use this item to pre-order a mail order copy of Rob Wykes book – It’s Not About The Furniture. Your copy will be despatched after Friday 24th March by first class post. 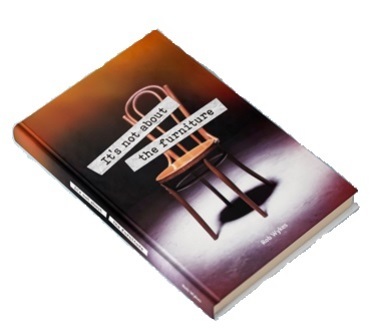 Please use this item to pre-order a posted copy of Rob Wykes’ book – It’s Not About The Furniture. Your copy will be sent first class post after Friday 24th March. Copyright 2019 St Paul's Centre.